It’s always a happy coincidence to cross the trail of an ancestor while tracking an entirely different prey. My dad’s mother and father met at the Masonic Home for Children in Ft. Worth, Texas in about 1905. They would marry after their graduation from high school at the home in 1916. It’s doubtful they ever knew their families had crossed paths 100 years earlier in Williamson County, Tennessee. It’s doubtful anyone knew…until now. 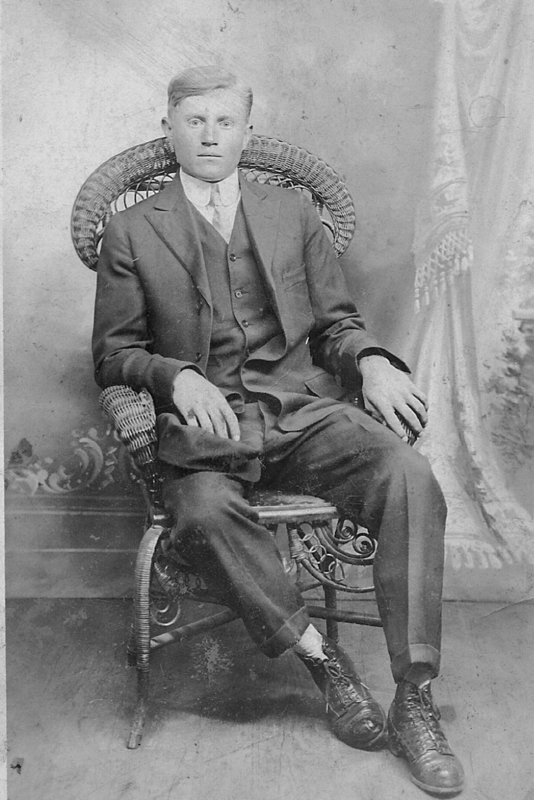 Gus Roberts was born in Lamar County, Texas in 1898. His father, John Anderson Roberts was born in Williamson County in 1830. If you do the math he was nearly 68 years old when my grandfather Gus was born by his second and much younger wife Mary. He was the only child of this union. John A. or “Jackie” as he was known, died in 1901. I doubt Gus had many memories of him and would have certainly not remembered any stories of his origins. Gus would be raised as an orphan. (That’s another story for another time.) John Anderson’s story was very different. His father’s name was John Rivers Roberts. He was born in Virginia but arrived in Williamson County as a very young boy in or before 1804. All of his children would be born in Williamson County and all seven which are known to us would survive to adulthood. Their place was on Rutherford and Flat creeks. John R would be the last of the males in his family to leave the county of Williamson, waiting until after the death of his mother in about 1857. The majority of them would migrate to Calloway County, Kentucky. His father is known simply as John Roberts. I call him “My John Roberts” because I don’t know his middle name and I can’t find his father. He was born in Virginia and arrived in Williamson County by 1804. He is in the 1805 tax list. He and Rebecca’s first children, like John R., were born in Virginia. They would go on to have other children born in Williamson. He died in the county in November of 1823 and I believe he is buried on the old original Roberts home place somewhere near the headwaters of McCrory Creek. I wish I knew where. 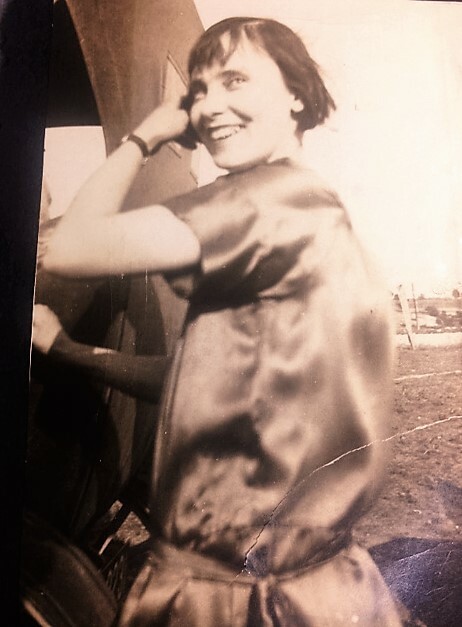 Emma Lee Ingram was born in Dimmit County, Texas in 1898. She had a twin who did not survive the birth. Like her future husband, she was the offspring of her father J.C.W. Ingram’s second wife. JCW would die in October of 1902 leaving nearly four year old Emma fatherless. Emma’s mother was named Sarah Alice Nichols when she was born. 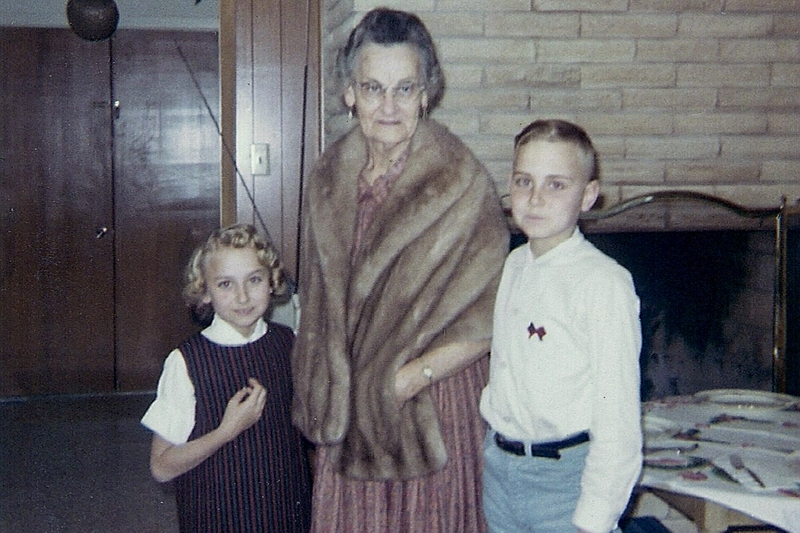 Most people knew her, like her namesake aunt, as “Sally”. She was born in Tennessee in 1861 (Although she is often confused by Ancestry tree builders with some Nichols in Arkansas). I believe she was born in Williamson like her older siblings but concede it could have been Marshall County. Her father Frederick Shaffer Nichols, however, was most certainly born in Williamson in September of 1834. 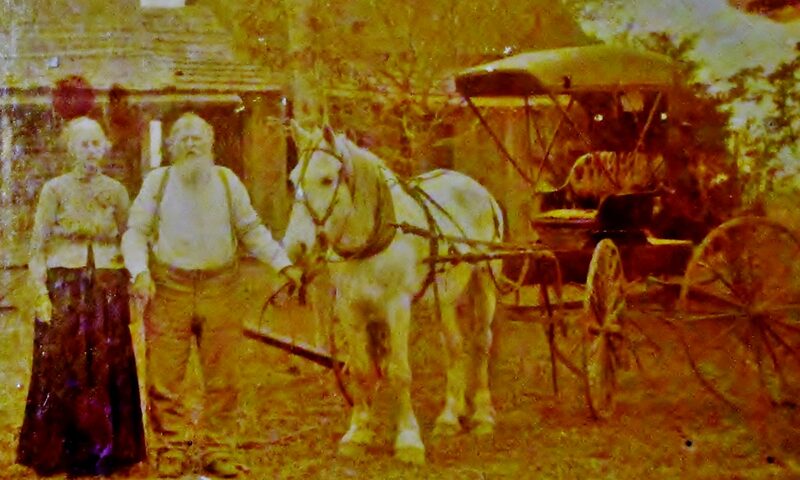 He would eventually migrate to the Hill Country of Texas and die in Kerr County in 1896. Emma would never know her grandfather. Frederick Shaffer’s father Allen Frederick Nichols was born in Newberry, South Carolina in 1787. He and his family were in Williamson before 1816 when his son Andrew was born. Allen Nichols appears on the same tax records as my 3rd great grandmother Rebecca Roberts and two of my 3rd great Roberts uncles Newton and Anderson (my great grandfather’s middle name namesake). And so there they are. Two kids meet in a children’s home in Ft. Worth, Texas without knowing their families had crossed trails and no doubt travelled the same trails 100 years earlier in Williamson County, Tennessee. The county “marked” both sides of my father’s family and perhaps his family helped shape the county in some small way. But, that’s not all. My 2nd great grandfather Frederick Shaffer Nichols married Sarah Elizabeth Neely in Franklin, Williamson County, in 1854. This was Sarah Alice “Sally” Nichols mother and the grandmother of Emma Lee Ingram, my grandmother. Sarah Neely’s father was named William L. Neely and was born in Williamson County in 1804. His father, my 4th great-grandfather, was named James Neely and was born in Virginia in 1783. He died in Williamson in 1833. The Neely family was somewhat prominent and influential in the county and spilled over into the northern part of Maury County (Goodspeed histories mention them and their descendants in both counties). You can find their “fingerprints” all over various records in Williamson County. There is this one in particular that surprised me. My 3rd great-grandfather John Rivers Roberts married Sarah B. Smithson before he married my 3rd great-grandmother Rebecca Anna Giles. John R. and Sarah had two sons together, Clement Smithson Roberts and James S. Roberts. Sarah may have died giving birth to James in 1825. Sarah’s father, Clement Smithson, had previously died in Williamson in 1814 when she was about eleven. His death and subsequent probate produced a considerable number of document pages which continued growing all the way through the 1849 court session! (It was timber rights and land values based on land and timber on land sold following her father’s death.) Sarah was a beneficiary and her name appears in those earliest documents and on through and including her sons’ names and her surviving husband John R. as their representative. And found in the early days of these documents there is the signature of one of the appraisers of the estate in 1815. That’s right. It’s the 1815 signature of my 4th great-grandfather James Neely on a Smithson/Roberts probate record! And that’s not all. William O. Smithson was born in Williamson in 1831. He married Mary Jane Nichols who was born in the county in 1838. Yes, that’s the same Smithson and the same Nichols families. This couple and their family migrated to North Texas, then the Hill Country of Texas (Kerr and Kendall Counties) and then back to Montague County in North Texas. Just this week the management responsibilities for Mary Jane’s Find A Grave memorial was passed to me. I’ve only just begun to really look at the Neely family. I haven’t said much about my Giles family of Williamson and Maury Counties. I’m sure I’ll find many more connections. I’m also researching the remarkable number of all family connections between Lunenburg County, Virginia and Williamson County, Tennessee. If you’re researching families in Williamson and lose their trail, look in Lunenburg, Charlotte and Mecklenburg counties, Virginia first for their ancestors. It’s always exciting for me to “strike” the trail of an ancestor as I backtrack the common. It’s especially exciting to see those trails intersect and at times merge with the trails of other DNA contributors. Great article, Gary! I love how things in genealogy sometimes flow along pathways. In this case, llunenburg, va to Williamson, to, and on to both Calloway, ky and Lamar, Texas. There are plenty of Calloway people who ended up in Lamar, probably because of those connections of family and friends who moved there directly from Williamson. It makes me wonder if there aren’t some kinship connections you haven’t found just yet. I definitely have some Nichols from Williamson in my tree. I’ll look at that tomorrow and let you know what I find. I’m guessing that will be through the smitthson family. Previous PostPrevious When Did J.C.W. Ingram Arrive in Texas? And when was the town of Ingram, Texas planted?